If you win an automobile accident case, you can suspend the Defendant’s driver license if your judgment is not paid. If your Judgment is for an automobile accident, you can have the Defendant’s driver license suspended to force payment. When you win a small claims case, the money the court awards you is called the Judgment. You are the Judgment Creditor. The person who owes you money is the Judgment Debtor. When can I have a driver license suspended? 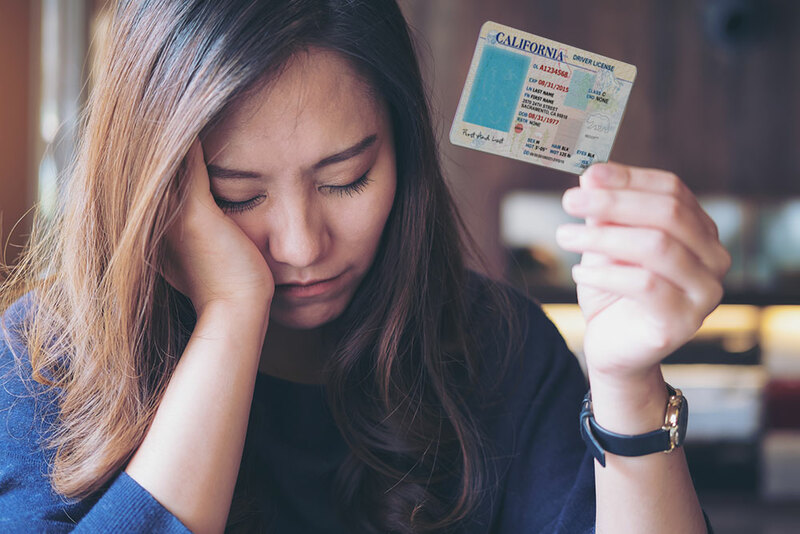 If your judgment is for an automobile accident on a California highway and the Judgment Debtor fails to pay, you can ask the Department of Motor Vehicles (DMV) to suspend their California driver license. Get the proper form at your local DMV office or online. Fill out the form, take it to the Small Claims Clerk’s Office and have them certify the form. Request a certified copy of the Notice of Entry of Judgment from the clerk. Pay the fee. How long is the driver’s license suspended? If your judgment is $1,000 or less and has remained unpaid for 90 days after the judgment became final, the DMV can suspend the license up to 90 days. This only applies to the actual driver of the vehicle and not the registered owner. If the judgment is more than $1,000 and has remained unpaid, you must wait 30 days after the judgment became final. The DMV can suspend the license of both the driver and registered owner for up to six years. Some exceptions may apply. Speak to a Small Claims Advisor for details. What happens after I mail the forms? DMV will give the Judgment Debtor a limited amount of time to pay the judgment. If you are not paid, the DMV will suspend the Judgment Debtor’s driver license for the time period listed above. I have been paid. What do I do now? Enter a Satisfaction of Judgment with the court. Get a certified copy of the Satisfaction of Judgment from the Small Claims Court Clerk and pay the fee. Mail the certified copy to the Judgment Debtor so they can remove the suspension. I’m the Judgment Debtor. How do I get my license back? Pay the judgment in full. Get a certified copy of the Satisfaction of Judgment from the court and mail the copy to the DMV. Have the Judge grant you court-ordered installment payments. The debtor must submit a reissue fee, a certified copy of the installment order along with a form, SR-22, filled by the insurance company stating that automobile liability insurance is in effect for the debtor. You must pay a fee to DMV and provide proof of insurance to have your license reissued. The Notice of Suspension you receive should list this fee. Court forms are available at California Courts – Forms. Select “Small Claims” from the pull down menu. Forms are also available at the Court Clerk’s office. County of Los Angeles Department of Consumer and Business Affairs. Last change: April 20, 2018.